The Sony Xperia Z is a water and dust resistant cream of the crop smartphone that still manages to deliver outstanding design, and while we knew almost everything about, one thing remained a mystery - its price. Now, UK retailer Clove has finally shed light on the Xperia Z price and it will be £440 with no value-added tax and £528 with VAT included. That’s roughly in line with the price of the Samsung Galaxy Note II at the carrier, so if we were to judge by this similarity, the Xperia Z should carry a similar price to the new Note in the States and Europe as well. The release date is once again confirmed to be March 1st, and then you’d be able to purchase a black or white Xperia Z.
I have a Sony Xperia TX. Is there much of a difference between the two ? I perfer the TX over the T. Is there much of a difference from Z to ZL ? Are they both going to be available in Europe? I'm confused cause I've read one is for Asia and one for the rest. The only thing this phone has that my already almost 2 month old HTC Droid DNA doesn't have is the microSD card slot. I have a 32GB flash drive I can connect to my HTC Droid DNA to see any movies I want, so problem solved. Everything else is a HTC Droid DNA in a Sony body. Man I am so glad to be an early adopter. I prefer the Note. The memory limit is pretty bad and with carriers limiting the data usage, that is a real problem on the go. There's a couple other reasons, BTW. For me and many others, we never considered the DNA the top dog. Lots of websites consider the HTC Droid DNA as THE best smartphone on Verizon. They say the Note II is good but it's too big & it's really not a smartphone, it's a phablet. There is no better tech in the WORLD right at this very moment than the HTC Droid DNA/HTC J Butterfly. Every other smartphone that comes out this spring will be just like the HTC Droid DNA, & that includes this Sony Xperia Z.
Ok I can wipe finger prints off my phone & I don't need to take it in the shower. Why you need to shower with your phone I don't know. lol Also you put your 8mm phone next to my HTC Droid DNA & the difference in thickness will minimal at BEST. Also you have to wait months to get the that phone when I have had basically that phone since Nov. 21st. Also the SLCD 3 on the HTC Droid DNA is a better screen than the Bravia on the Sony Xperia Z. Better than BRAVIA? you haven't even tested Xperia Z or ZL so how can you say its better? 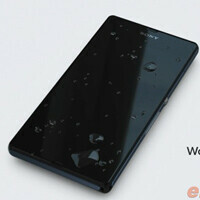 Xperia Z and ZL is designed very well.It looks good and yet,TOUGH. I cant say the design is better than the DNA because design is personal preference. In terms of speed and performance both are very identical cause they use the same CPU and GPU. In camera quality,Xperia Z and ZL is better because it has a 13mp camera and sony is a very great camera sensor manufacturer. In User interface,I prefer time scape UI because it looks very formal and neat and dosent lag unlike the HEAVY SENSE ui. Hardware might be the same but product quality is not, is like comparing Taiwan and Japan. That's fair price, provided the camera if top notch. Price is a bit on the high side for this might wait for it to drop a bit or opt for something else but defo not the S4. Not touching Samsung products again, don't care if it wakes you up and makes toast and coffee, after poor build quality of the S3 and cracking issue! No Sony! Price it aggressively like your Xperia P, Xperia U! it's play station certified, right? Sorry, I don't trust adjou.com!! I just love this phone's tight chassis. When it gets hot just drop it into a bucket of water! Problem solved. Usually they are water resistant, as in splashing, rain, etc... Not submersible. Would be cool though.